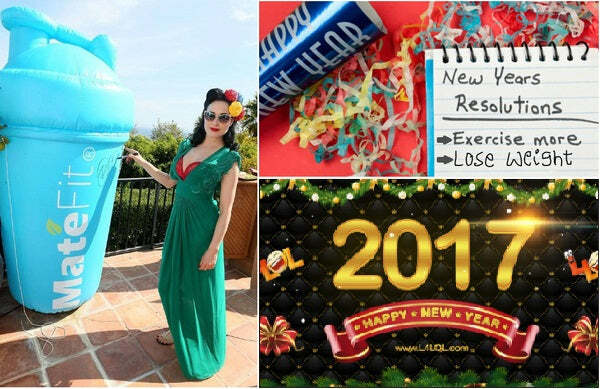 ‘Tis the season for making New Year’s Resolutions….and “weight loss” resolutions are the most popular ones year in and year out. If you’re one of the 3 in 10 Americans making resolutions in the new year, please don’t tell me that you’re going to do anything drastic. Let’s skip the strict diet and unrealistic exercise regimen, which means we can also skip the let down and frustration that follows. It’s not that you failed – the faulty resolutions failed YOU. 1. Your goals are too strict. A goal to get up at 5 o’clock in the morning every day to exercise is too difficult for most people to stick with. Setting smaller, more realistic goals will empower you and help you stay on track. As a registered dietitian nutritionist, I’ve seen firsthand how strict diet goals and deprivation can backfire. For every diet restriction there is an equal and opposite binge. The same is true for exercise goals. When I started running in my mid-40’s, I didn’t go from zero to 60 and try to run every single day. I knew that would be setting myself up for failure – or injury. Pacing myself and setting small goals allowed me to make gradual progress and work up to bigger goals such as longer races and eventually, a triathlon (something I never dreamed I would do). 2. Your goals are too loose-y goosey. Simply having a vague goal of “losing weight” without identifying the detailed steps you will take doesn't set you up for success. Be as specific as possible in your goal setting and planning. For example, decide which days of the week you will exercise, what types of exercise you will do, and schedule it on your calendar. Even more importantly, not having a crystal clear reason for losing weight could significantly undermine your efforts. Beyond losing weight for ‘better health’ or fitting into that dress, there is a deeper reason that must be uncovered in order for you to access the true motivation and drive to keep going. 3. Your goals don’t include the (right kind of) support system. Trying to go it alone might seem like the best approach, but that’s not necessarily true. Depending on your personality, some people need external accountability while others are more hard-wired to respond to internal expectations. Enlisting the right kind of support can make or break your resolution. 1. Sound science: Make sure your “diet” is grounded in facts, not fiction. You don’t have to take drastic measures to lose weight. On the contrary, you need something realistic that you can stick to long-term because it takes time to lose weight. 2. Smart nutrition: Make sure you are making “smart” choices such as trimming extra calories where you can. My top suggestions for cutting extra calories while still enjoying the foods you love are to eat smaller portions (try using smaller plates, bowls, and cups) and choosing lower calorie options (like foods and beverages made with low-calorie sweeteners). 3. Good food: Make sure you savor and celebrate delicious food. A bland, restrictive diet is no way to live and is impossible to maintain long-term. Don’t delay – start today! You don’t need to wait until January 1st to start making changes. You can decide to reevaluate your health goals any time of year. Why not get a jump start on them now? Take some time to really think about your reasons and set specific, realistic goals that you can sustain throughout the year. That way you won’t have to make this same resolution again next year. Here’s to a healthy and happy new year! How to make Detox Tea?